KING OF SWEET has been remastered by Warn Defever in the Winter of 2011, and now Handmade Birds is extremely honored to release the 2xLP vinyl issue of this sought after masterpiece. "Named after history class notes on Abraham Lincoln, the Livonia, MI-based sonic manipulators His Name Is Alive formed when multi-instrumentalist/producer Warren Defever (also of shockabilly group Elvis Hitler) was still in high school. Defever, former schoolmate Karin Oliver (vocals), and drummer Damian Lang released self-produced cassettes of their music, one of which made its way to Ivo Watts-Russell, founder of the pioneering art label 4AD. Intrigued with His Name Is Alive's blend of spectral vocals, poetic lyrics, and textural guitars, Watts signed the band. The group recorded its first release for the label, Livonia, in Defever's home studio. The album features Oliver's shivery vocals along with tape loops, samples, and guitar blasts, for a noise-damaged, ethereal collection of songs about ghosts, reincarnation, and dreams. By 1992's Home Is in Your Head, the band's lineup and scope expanded. New singers Denise James, Karen Neal, Melissa Elliott, and guitarist Jymn Auge added depth and breadth to the band's original lineup. An epic 23 songs long, Home Is in Your Head ranges from folky ballads to electrifying guitar maelstroms and tape collages. That year also saw the release of The Dirt Eaters EP, named for Defever's other, more rock-oriented group, of which Elliot was also a member. 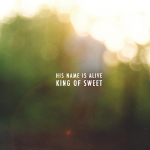 In 1993, His Name Is Alive released two albums: King of Sweet, a limited-edition release that mixed tape effects, samples, demos, and unreleased songs, and Mouth by Mouth, which added more pop structure into the group's inherently experimental and dreamy sound, resulting in its most accessible and diverse album to that date. A new drummer, Trey Many, took over Lang's duties. As Defever's reputation as an innovative producer spread, he lent his skills to bands like Grenadine, a side project of Tsunami's Jenny Toomey and Unrest's Mark Robinson, other 4AD acts like Liquorice (which featured Toomey, Dan Littleton from Ida, and His Name Is Alive's Many) and Tarnation, and other Detroit-area bands like Godzuki and Outrageous Cherry. Defever also worked on other projects, including the folky ESP Summer (with former Pale Saint Ian Masters) and the electronic Robot World and Control Panel, and founded the Time Stereo art collective with a childhood friend, artist/musician Davin Brainard. Some of Time Stereo's projects included films, coloring books, and cassette-only releases from bands like Princess Dragon Mom, the Crash, Godzuki, New Grape, and Noise Camp. Defever's diverse interests influenced His Name Is Alive's next release, 1996's Stars on ESP. Very little of the group's original ethereal sound remained, augmented instead with touches of dub, folk, gospel, and early- to mid-'60s pop like the Beach Boys' Pet Sounds. At the time of the album's release, Defever claimed that he was so fascinated by the group's "Good Vibrations" that he listened to it for months at a time. The following year's Nice Day EP reached to garage rock and '60s R&B for its inspiration, and featured some of the gospel singers from Stars on ESP, including Lovetta Pippen, whose singing also gave His Name Is Alive's 1998 LP, Fort Lake, an earthy sensuality. Fort Lake also marked the first time the band worked with another producer, recording engineer Steve King. King, another Livonia native, had also worked with Funkadelic and Aretha Franklin, and his touch meshes nicely with the funk, soul, and classic rock allusions His Name Is Alive makes on the album. In preparation for recording Fort Lake -- named after a waterlogged Civil War fort in Michigan -- the group played monthly shows at the Gold Dollar, a tiny Detroit club. At this time, Pippen, bassist Chad Gilchrist, and additional drummer Scott Goldstein debuted as part of the new lineup. In 1999, His Name Is Alive released a U.S. compilation of tracks from their first five albums called Always Stay Sweet; at the time, those albums were only available as British imports. Like the rest of the band's work, the compilation highlights their mercurial, unique nature. Someday My Blues Will Cover the Earth appeared two years later. Released in 2002, the darkly soulful Last Night ended up being the group's final album for 4AD, but His Name Is Alive found other outlets for their music, and were actually busier than ever. Time Stereo released several CDs, such as 2004's ten-disc Cloud Box set, Leaf Club, Brown Rice, and The Detroit River, as well as many MP3-only works, including the Summer Bird and Something_Nothing EPs and a remastered version of King of Sweet. UFO Catcher was released in 2005 on CD by the German label En/Of and on vinyl by Time Stereo, while Ypsilanti Records issued the full-length Summer Bird that spring. That year, Defever also set up the Silver Mountain imprint, which was distributed by Sony BMG.